You don't want this in your orchard. 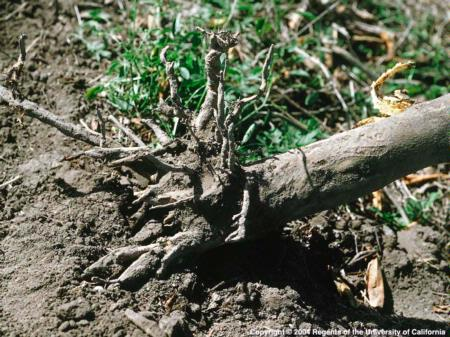 Damage to citrus root system. 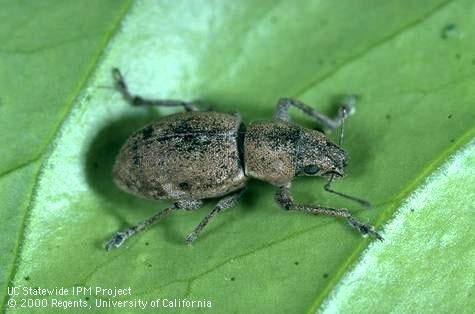 A New Threat to California Agriculture - Sri Lankan Weevil? Just so we don't forget, but there are a lot more threats to California than ACP and PSHB. There's a lot more where they came from. Here's one that has landed in Florida that could easily with the shipment of infested plants arrive in California. Myllocerus undecimpustulatus undatus Marshall, the Sri Lankan weevil, is a plant pest with a wide range of hosts. 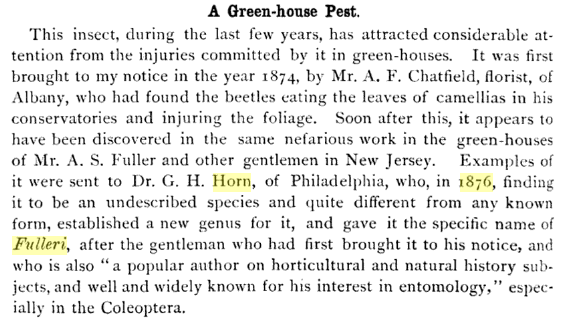 The Sri Lankan weevil was first detected in 2000 in Florida. By May, 2006 it was found in 12 counties in that State. 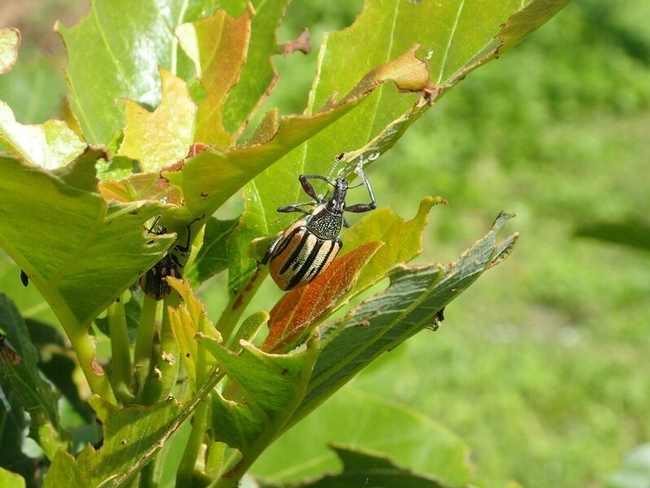 The Sri Lankan weevil has a wide host range of over 150 plant species including native, ornamental, vegetable and fruit species. Some host plant examples include Citrus spp., citrus; Conocarpus erectus, green buttonwood; Bauhinia x blakeana, Hong Kong orchid tree; Chrysobalanus icaco, cocoplum;Phoenix roebellenii, pygmy date palm; Prunus persica, peach; Lagerstroemia indica, crepe myrtle;Capsicum spp., pepper; Litchi chinensis, lychee; Muntingia calabura, strawberry tree; and Solanum melongena, eggplant. It is unclear what the larval host plants are, but they have been reared in the laboratory on pepper, eggplant, cotton, carrot, and sweet potato roots. 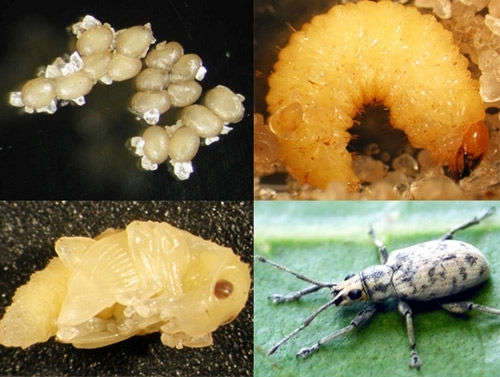 Various life stages of the Sri Lankan Weevil.